You're not a great listener. How to get better. What if I told you your not a good listener? How can something we have been doing since we were born not be something we are good at? We were never taught how to do it well. We simply copied what we observed others around us doing. We heard the words spoken to us and then reacted. As we got older our experiences began to affect how we heard those words and what we call our listening skills were formed. It wasn’t until I took my coach training that I even became aware of how to listen versus just hearing what the words being spoken were. This was also an eye opener to me of where I could have improved in my past marriage. This is what it means to be listened to, these are the results we feel when someone listens and this is why we want others to listen to us. In my coach training (CTI) we were taught 3 different levels of listening, here are two of the three. Internal Listening - this is a place of information gathering. It’s where we spend most of our time. We are working on problem solving and we pay attention to your own judgements and opinions. In this space we are self absorbed, allowing our own thoughts to wander to our own issues. Focused Listening - from this place you focus on the words but you are also watching expressions, emotions and the energy. You notice what they say and what they don’t say. This type of listening uses empathy, clarification, collaboration and reflection. You push away your own mind chatter, judgements and opinions. The key to this type of listening is awareness. In basic terms, Level 1 or Internal Listening is what we actually do all day. We know someone is talking to us but we’re focused on when they are going take a breath so we can interject and let them know we can relate to what they are saying or one up them with our own story. Or we are focused on something else we have to do after this person is done speaking. Errands, a phone call, get home, answer an email, never truly putting our full focus on them. Focused Listening, or Level 2 as we call it in coaching, is a practice. It takes a conscious effort to do it. It also means making a choice to do things differently than you have in the past. What can we do to actually be more present in our listening? Learn the skill of empathy. Maintain eye contact when the other person is speaking. Push away your need to solve their problem. Stop your judgemental thoughts by replacing them with curiosity. I love psychotherapist Esther Perel’s quote, “The quality of our lives depends on the quality of our relationships.” By focusing more attention on the skill of listening we can indeed begin to improve the quality of our relationships. 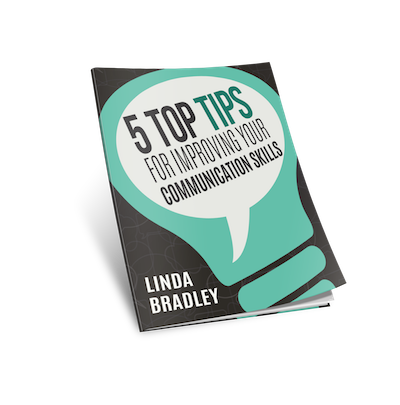 Are you wanting to improve your communication skills and add more meaning to your life? Then start by committing to becoming a better listener and watch the quality of your relationships begin to change. Want support to work on your listening skills? Consider starting a coaching relationship to help you stay accountable to your goal. How often does your mind act as your enemy more than your friend? You know what I mean, when the voice inside your head says that won’t work, that’s too expensive, too hard, too scary, and so on. If you've worked with a coach you’re already very familiar with whom your saboteur is. Chamine states that we actually have more than one saboteur, he believes there to be 10. There is however a leader, the strongest of the group, the one we all suffer from... THE JUDGE. The other 9 are accomplice saboteurs and each of us will recognize a different one in ourselves. He lists the others as the Stickler, Pleaser, Hyper-Vigilant, Restless, Controller and the Avoider. Any of those look familiar to you? As the year comes to a close I cannot help but reflect on all that I have learned in this past twelve months. It has often come to my mind this year, when working with my amazing clients, do they know how much I benefit from the experience of coaching them? I tell all of my clients what a privilege it is to be their coach, to be allowed so deeply into their personal lives, to places inside them where they have perhaps never allowed anyone to see. I am grateful for that opportunity every day. But what I don't think they know is how much they teach me.